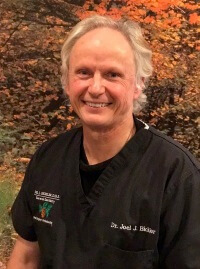 Dr. Bickler has been taking care of patients in the Big Bear area since 1984. 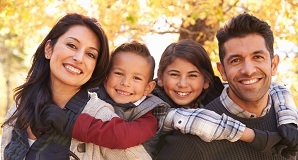 With over 35 years of experience in dentistry, he is proficient in multiple specialties. Dentists in the area feel confident when referring their patients to him for specialized procedures. He is known for his gentle approach to dentistry, which is represented by his many generations of faithful anxiety-free patients. His practice includes general, restorative and cosmetic dentistry, oral surgery (including all impactions and ridge preservations), endodontics, periodontics, orthodontics, children’s dentistry, and nitrous oxide sedation. We are excited to announce that in the near future, Dr. Bickler’s practice will also include implant dentistry. Dr. Bickler graduated from the University of Wisconsin at Eau Claire with a B.S. in chemistry and a minor in math. He went on to study at Marquette University School of Dentistry and then served in the United States Air Force Dental Corps, where he attained the rank of captain. In addition to Dr. Bickler’s education in general dentistry, he continued his training for many years in orthodontics through the United States Dental Institute. When he is not practicing dentistry, Dr. Bickler finds himself in Texas, where he enjoys being a grandpa. He enjoys landscaping, gardening, photography, and archery, as well as being a general aviation pilot. Being the proud owner of land in his hometown of Wisconsin, he grows soybeans, kiwi, chestnut trees, goji berries, blue berries, and poplar trees – just to mention a few! Please enjoy a few of Dr. Bickler’s photos. Before attending the registered dental hygienist program at West Los Angeles College, Laura was a dental assistant for three years. This combined experience for the past 11 years has made Laura a well-rounded professional in the field of dentistry. 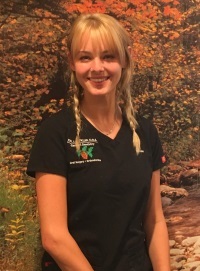 Dr. Bickler is lucky to have Laura on his team due to her meticulous attention to detail. Laura moved from the Los Angeles suburb to Big Bear to escape the hustle and bustle and finally live a small town life. 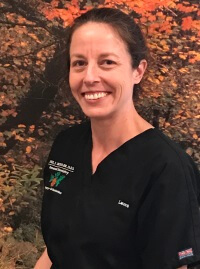 Laura feels at home in Big Bear and in Dr. Bickler’s practice, where she gets to know patients on a personal level without the clinic atmosphere. Although she left the busy nature of the big city, she is still challenged in Dr. Bickler’s practice because he uses the latest state-of-the-art technology and follows continuing education to keep up with the most current dental techniques. As Laura expected, escaping to Big Bear allows her to enjoy gardening, hiking, fishing, and just about anything outdoors. Devon has worked in the dental field since 2012, and joined our team in 2016. She enjoys working with and learning new technology and the advanced multiple dental specialties that Dr. Bickler incorporates into our office. This allows her to be part of creating beautiful smiles for our patients. Devon studied at Barstow community College, and completed the San Bernardino County Dental Assisting Program. She has advanced training in coronal polishing, pit and fissure sealants, ultrasonic scaling for orthodontic cement, radiation safety, California Dental Practice Act, infection control and CPR. Born and raised in Big Bear, CA gives Devon an intimate knowledge about the community and all it offers. Devon enjoys hiking, traveling, horseback riding, snowboarding, and generally enjoying the outdoors. A recent transplant from Orange County, Jodie comes to our office with several decades of experience. Her positions have included everything from Registered Dental Assistant to Regional Office Manager. She has extensive experience in many phases of dentistry, including periodontics, orthodontics, oral surgery, and endodontics, as well as with patient treatment and insurance. In the past, she has been in charge of both large corporate offices and independent private practices. Her experience, coupled with her patient-focused demeanor, is a great fit for our office! Outside of work, Jodie is enjoying getting to know Big Bear’s communities and all that they have to offer. She is known lovingly as “Gigi” to her cherished grandbabies, and you can often find her and her dog Mo on relaxing strolls around the neighborhood. Her passion for music often leads her to local karaoke nights here in town, and she also enjoys binge watching the latest thrillers on Netflix! Alexis is originally from New Orleans, and she studied at Houston Community College before pursuing her dental education at Concorde Garden Grove. She has received advanced training in coronal polishing, dental sealants, and radiography. Her favorite part of this job is being able to help Dr. Bickler improve all of the wonderful patients’ smiles! Alexis’ family consists of her mom, her dad, and one younger brother. When she isn’t busy at work, she enjoys reading, working out, hiking, and attending her brother’s various sporting events. She actually attended modeling school in the 8th grade and is hoping to pursue it as a side hobby as well. Rose’s career in the dental field spans nearly a decade so far, and she loves meeting new people and making patients smile here at the practice! She attended both Riverside Community College and Kaplan College for her education. 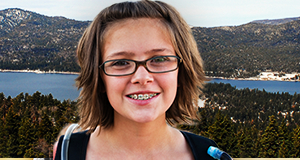 Rose is originally from Banning, CA, and her mom and dad both live in the Big Bear community. She has two wonderful sons and three older brothers. When she isn’t busy at work, she enjoys spending quality time with her family (including her dog Cookie), cooking, traveling, and keeping up with sports. Do your have any questions before your make your first appointment? Fill out this form and we'll get back to your as soon as possible.